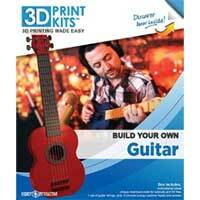 3D Print Kits make it easy to build your very own customized mini-guitar that sounds great! Just use the step-by-step instructions and materials included in this kit. Anyone can successfully build a guitar and play regardless of experience!